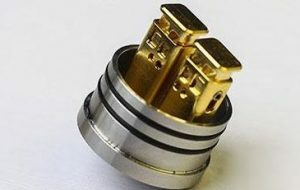 As 2017 is soon coming to a close, I thought it best to remember the year of vaping with an article about innovative products of the past 12 months. 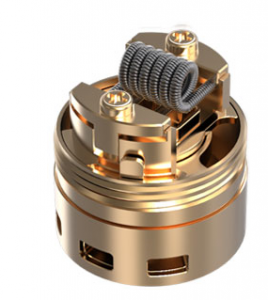 Today I will be focusing on the weird and wonderful decks of RTA & RDA products that have garnished our mods in 2017. Lets talk about innovative decks of 2017! Before this year, the “Velocity style” deck was the king of decks. 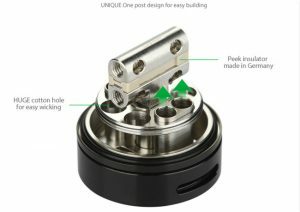 Since its inception in the Velocity RDA, we saw many manufacturers take this new and fresh post design and employ it to their tanks and RDAs with success, but moving into 2017 the Velocity deck has become a thing of the past and many new ingenious ways to mount your coils have been created. 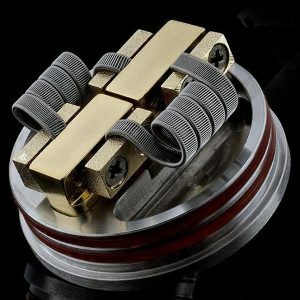 Back in January 2017 we saw a change in deck design that started the revolution of different ways of mounting your coils. I am talking of course about the Troll RTA. 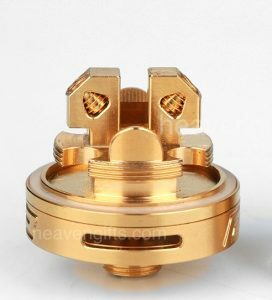 The troll actually used a previous deck design from the Shadow RDA that wasn’t a very popular RDA and created an RTA version in the troll. This changed the ever familiar velocity type deck and took it in a new direction by giving a floating deck. 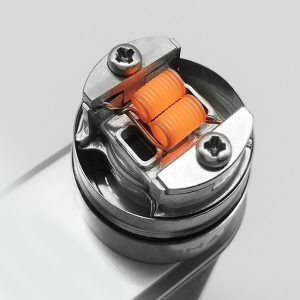 I remember being very keen to try this RTA and to this day I still own one. 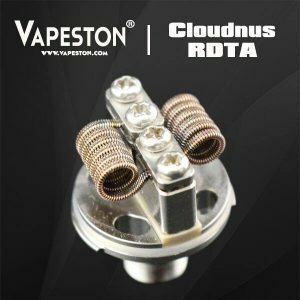 After the inception and popularity of the Troll RTA, it seems that many different designers started to implement new types of decks into tanks and RDAs, bringing a new wave of innovation. Below is a list and images of what 2017 brought to us! 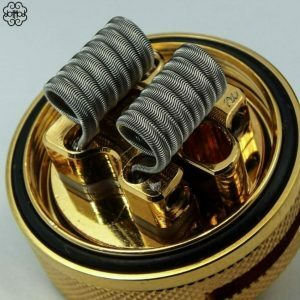 Now this deck technically came out in 2016 with the Goon RDA by 528 customs. 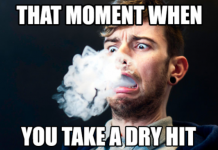 But it didn’t really gain any ground until 2017 when it was introduced into the more mainstream vaping scene. This incorporates a deck that has plates instead screws that hold the coil in place. 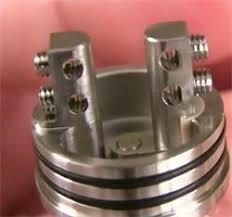 A few RTA manufacturers have also implemented this deck to their products. 528 customs even made the Goon LP with a sideways version of that deck. 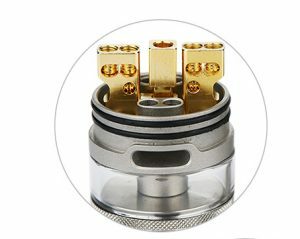 Another innovative deck came with the Pharaoh Dripper Tank. 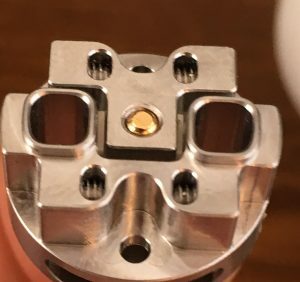 This brought a spring loaded clamp style deck that was different to the Goon style clamp. This allowed for easier installation of coils under the clamp plate , but was only really used by a select few manufacturers. 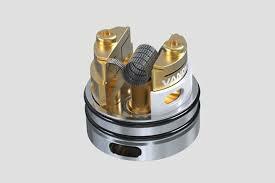 This was designed to center the coils over a central airflow thus giving you better airflow to the coils. The Velocity deck has had some changes and improvements added to it in 2017. This deck was way ahead of its time , but as with everything it was fairly simple in its inception. As you can see, there are many different types of decks available and 2017 has brought with it almost all of these styles. At the very least they have been made popular this year. Below is a list of some of my favorite of each type of deck and where you can buy them! 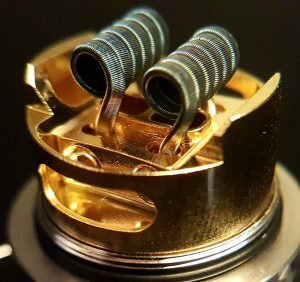 I wonder what 2018 has in store for us in the vaping world. I for one would like to see more 21/20700 devices! Comment below what you would like to see in 2018! That’s all from me, give me a follow on the below social media. I am happy to answer any questions you have about the above decks! Merry Christmas and a Happy New Year! !